Mimi Weddell died this week at age 93. Nothing too unusual there, except perhaps her longevity. But Mimi Weddell was a true personality. 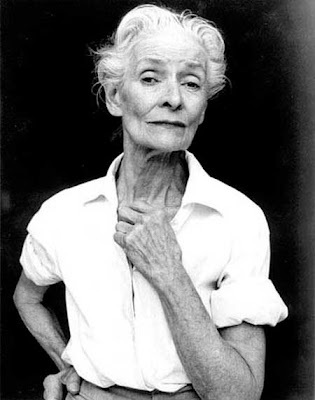 She took up modeling and acting at the age of 65, after her husband died. She appeared in television, movies, print ads. 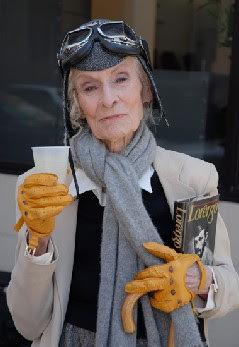 She was lauded as one of the "Most Beautiful New Yorkers" by New York magazine--when she was 90! 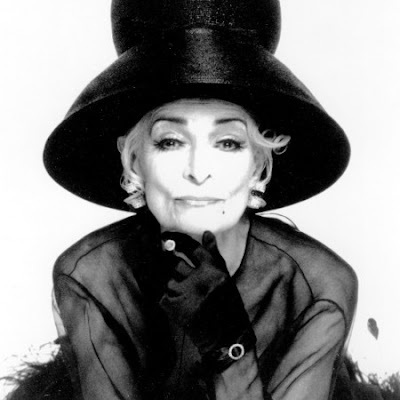 She owned more than 150 hats, and once said, "The only romantic thing left in life is a hat." She showed us all that grace, beauty, elegance, and hip-ness don't have to end when silver hair and wrinkles appear. Rest in Peace, indomitable spirit! You are right, and I am very sorry on two counts: first, for the passing of your legendary grandmother, and second, that I somehow posted a photo of somebody else in my tribute to her. Thank you for pointing out the error; I will fix it right away.